The report on potential uses for the future of the St. Brigid’s campus in Ballinasloe highlights “a very clear consensus around the vision for St. Brigid’s and the next step”, Minister Denis Naughten has confirmed. 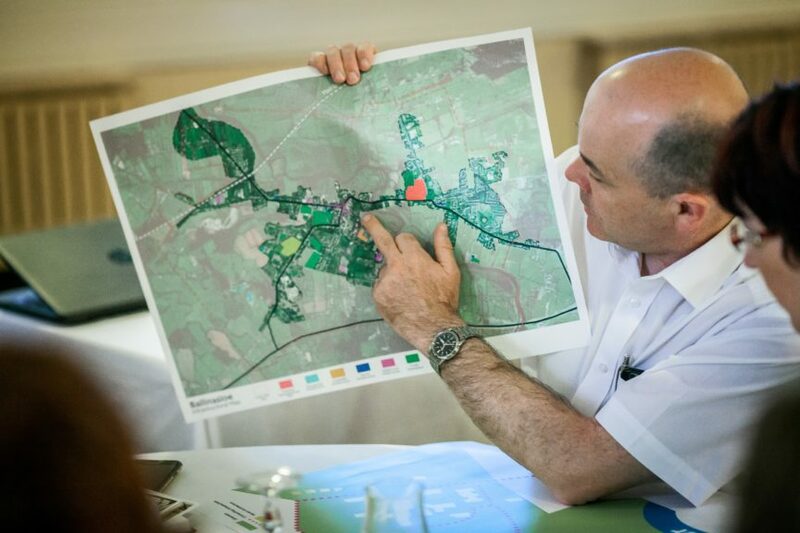 The report follows Minister Naughten’s discussion-based workshop as part of his project ‘Reimagining St. Brigid’s’ and highlights that those who attended – State agencies as well as businesses and community representatives from throughout the area – all shared a common vision for the site and how this should be progressed. “This report clearly shows how positively this project has been met and the commitment and enthusiasm of the workshop attendees,” explained Minister Naughten. “When I started this project it was because of my belief in the huge potential of not only the site but also the town of Ballinasloe as a whole. I believe this site can be transformed breathing new life into the town. The overall consensus that emerged was for a multi-use space that would draw on the mental health history of the site by creating an interactive museum and heritage site, forming a global centre of excellence around this centre with research and training facilities as well as a wellness village and trails. The need for a commercial element to drive job growth locally and regionally was acknowledged as was the potential to incorporate opportunities for training and education and both indoor and outdoor community spaces. It was agreed that the next steps should be selecting an action group and main promoter, continuing community engagement and completing a feasibility study of the vision. “From the beginning this project has been about stimulating debate on the future for the town and the St. Brigid’s site and about bringing together local knowledge and national expertise to map how this could progress and what exactly the future could look like for this landmark location,” commented Minister Naughten.